Embrace this rare opportunity to live in one of Mitchelton's most desirable locations, in a family-friendly neighbourhood. Cleverly updated to seduce you with its intrinsic post war charm, this super attractive residence offers an easy maintenance lifestyle that is well planned for indoor-outdoor entertaining. The home features a well thought out floorplan that focuses on easycare living. Interiors are bright and breezy throughout and have an air-conditioned living area with French doors that open to the outside. Three bedrooms are each fitted with built-in wardrobes and ceiling fans, plus there is a well-equipped kitchen with gas cooktop and dishwasher, and polished hardwood floors throughout. A spacious entertainment deck enjoys a pleasant leafy outlook and leads down to the very private and secure backyard complete with vehicle access from Tuggan Street at the rear. 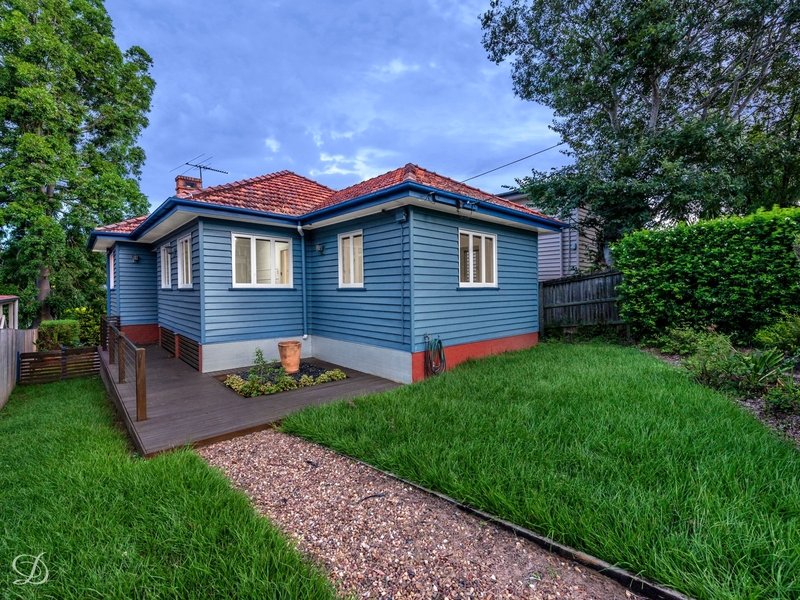 This popular location is highly sought-after because of its close proximity to local parks, bus transport and is an easy walk to Mitchelton station, Blackwood Street cafes and all of the area's quality schools. Phone Haydn Denovan or Lance Denovan today for more information or to arrange your private viewing.